We listened for a voice crying in the wilderness. And we heard the jubilation of wolves! I've always said that the best wolf habitat resides in the human heart. You have to leave a little space for them to live. 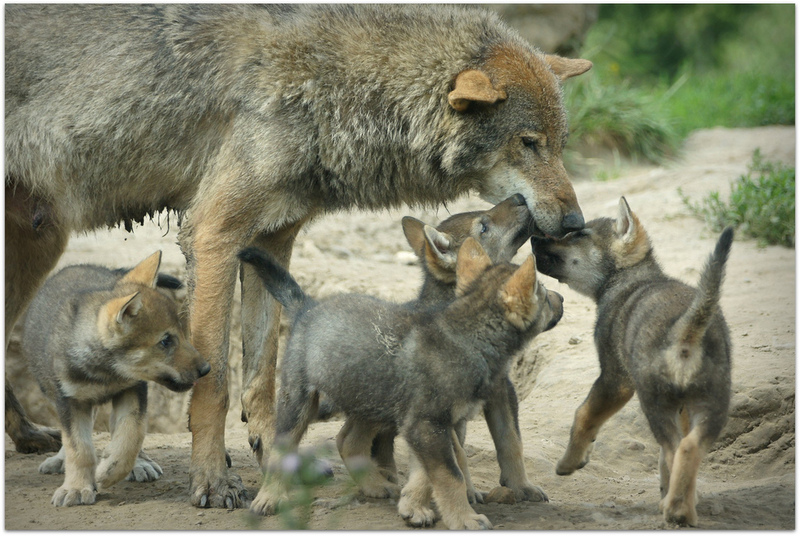 Wolves are not our brothers; they are not our subordinates, either. They are another nation, caught up just like us in the complex web of time and life. The wolf's clear, intelligent eyes brushed mine. The wolf is gentle-hearted. Not noble, not cowardly, just non-fighting. Speak of the wolf and you will see its teeth. Wolf is the Grand Teacher. Wolf is the sage, who after many winters upon the sacred path and seeking the ways of wisdom, returns to share new knowledge with the tribe. Wolf is both the radical and the traditional in the same breath. When the Wolf walks by you - you will remember. We humans fear the beast within the wolf because we do not understand the beast within ourselves. The caribou feeds the wolf, but it is the wolf who keeps the caribou strong. Only a mountain has lived long enough to listen objectively to the howl of a wolf. We reached the old wolf in time to watch the fierce green fire dying in her eyes... There was something new to me in those eyes-- something known only to her and the mountains. I was young then, and full of trigger-itch. I thought that because fewer wolves more deer that no wolves would mean hunter's paradise, but after seeing the green fire die, I sensed that neither the wolf nor the mountain agreed with such a view. The gaze of the wolf reaches into our soul. Throughout the centuries we have projected on to the wolf the qualities we most despise and fear in ourselves. The wolf is neither man's competitor nor his enemy. He is a fellow creature with whom the earth must be shared. We have doomed the Wolf not for what it is, but for what we have deliberately and mistakenly perceived it to be.. the mythologized epitome of a savage, ruthless killer.. which is, in reality no more than a reflexed image of ourself. Throw me to the wolves because there's order in the pack. They say the wolf bestows its happy spirit to help people. Women who obtain this spirit become skilled in creative endeavors and experience a strengthening of the senses. I would like to think there is some truth to this in my own life. The wolf is kept fed by its feet. Anyone who has ever heard it when the land was covered with a blanket of snow and elusively lighted by shimmering moonlight, will never forget the strange, trembling wolf cry. How lonely is the night without the howl of a wolf. Perhaps it was the eyes of the wolf, measured, calm, knowing. Perhaps it was the intense sense of family. and demonstrate affectionate patience in pup rearing. Perhaps it was the rigid hierarchy of the packs. Each wolf had a place in the whole and yet retained his individual personality. Perhaps it was their great, romping, ridiculous sense of fun. that prompted the wolf to lay his song on the icy air. there was much to learn from them. not as killers but as teachers? A mountain with a wolf on it stands a little bit higher. Where the wolves lives, the forest is healthy. No matter how much you feed the wolf, he keeps looking at the forest. He who company with wolves learns to howl. Last night I dreamed I was chasing a pack of wolves, trying to belong. Flattery looks like friendship, just as a wolf looks like a dog. A female is a person who screams at the mouse and smiles at the wolf. All dogs bark at a wolf. You haven't truly experienced the beauty and last true essence of the wild, until you've looked into the eyes of the wolf. Responses to "Amazing Quotes and Proverbs About Wolves"
This post is excellent! To have so many of the most famous quotes about wolves in one place is priceless. just amazing... what magnificent beings and to think that we wanted them extinct! How self-destructive is that? Lets strive, instead, to keep the wolf alive in the wild and in ourselves. I love this.Wolves are my favorite animal. Love your page and your devotion to the wolves. There is a war raging and the Wolf is the only looser. If all the number of people who read White Wolf Page find the site to comment on De listing and fill out the spaces asked to oppose this we could maybe turn this around. Great numbers would show the people involved that we are not fooling. Mean while even tho most do not want to see or hear about it, atrocity's of unbelievable amounts are being rained down on the Wolf. If you want it to stop we must all voice that this is unacceptable. We are the majority that do not want this to happen. But if you do nothing to help then you may just see the Wolf go Extinct in the lower 48 states in our lifetime. 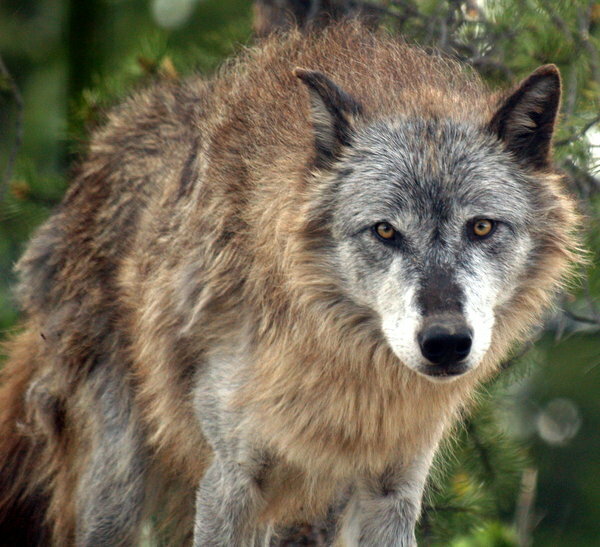 The Mexican Wolf is already there at critically endangered . If you really love Wolves. This is not a Disney movie. We have the power to have a happy ending. If not we let this ending be one of the greatest tragedy's in modern times. Write an E-Mail to your congressman/Senator. I'm not preaching I am just trying to have you help everyone that is already writing letters/E-Mails. The de listing has been wrong from the start. Show them you know this is wrong. 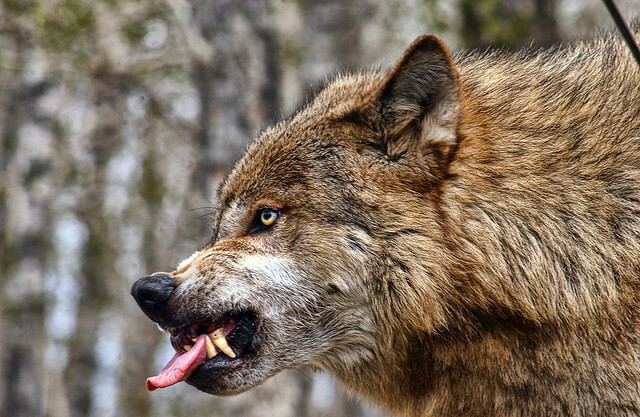 A quote I can only try to remember... "A wolf will plead with you to not take his belongings"
Respect the Wolf and let it have it`s place in the order of Life ! This World has room for all if we learn to Live WITH one another instead of Pushing or Killing off everything that stands in our way , or that we don`t Understand ! Great quotes describing the greatness of this creatur! It's a pity that in a country that stands for the rights of any living thing, the wolf is considered unworthy of that. I am signing petitions, adopted a pack and have become a member for years to help and I hope many join me to protect and respect such beautiful animal animal. I wonder why Florida hasn't considered killing all alligators?? Thank you for sharing, not only the quotes, but the pictures, as well. the wolf inside me makes me more human. killing me for fun makes you less of a human being." Which i think is totaly true. The wolf is the most magnificent creature on the planet. They are enchanting and mysterious. They deserve to be protected, not hunted down and destroyed. When i look at a wolf, hear their song, I think of this. For the wolf is not just a creature, but also a piece of nature's finest art. Run safe and strong my friends. The storm whispered to the wolf! "You can't withstand the storm"
This to me is so strong and beautiful..
Love is life and a wolf is my heart and soul. We are all here together.we got to share the world. A great post from a great source! 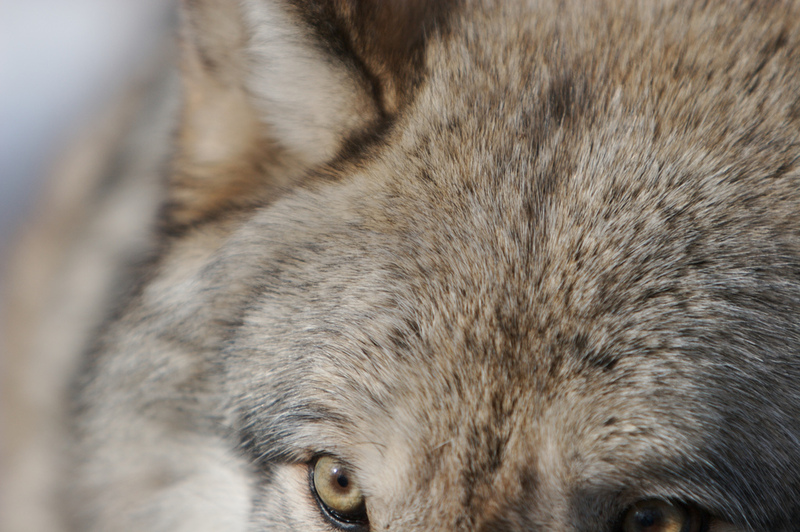 Learn to recognize the eyes of wolves...that appear to be dead, but are dangerously alive. Love this page. Thank you for all the amazing quotes. I'd like to share a favorite of mine. I don't know the author, wrote it down years ago.